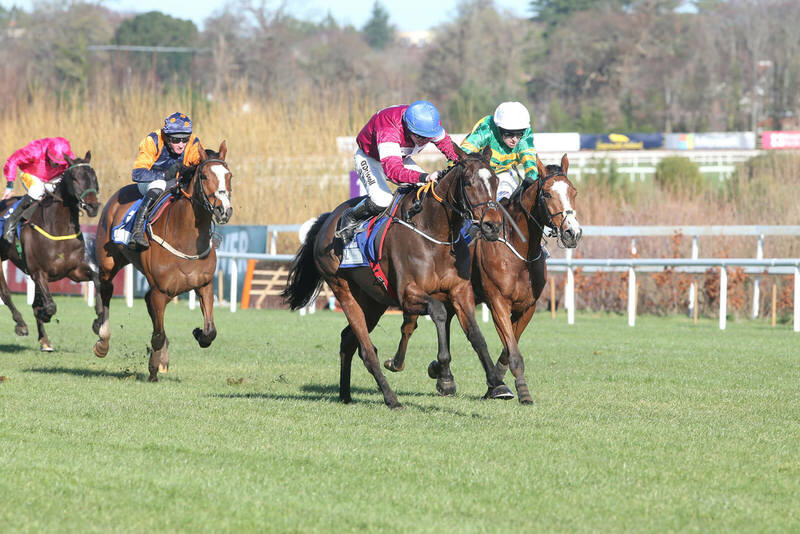 The Dublin Racing Festival at Leopardstown opened in tremendous style on Saturday as Commander Of Fleet, relishing the step up to 2m 6f, outbattled Rhinestone in a thrilling finish to the Grade 1 Nathaniel Lacy & Partners Novice Hurdle. Trained by Gordon Elliott for Gigginstown House Stud, Commander Of Fleet was sold at Goffs Land Rover Sale by Mount Eaton Stud to Margaret O’Toole for €47,000 and last April went on to win the €100,000 Goffs Land Rover Bumper at the Punchestown Festival. The five year old son of Fame And Glory looks set to head for either the Grade 1 Ballymore Novices’ Hurdle or the Albert Bartlett at the Cheltenham Festival next month. The Goffs-sponsored Handicap Chase at Leopardstown was also won by a Land Rover graduate, the Paul Nolan trained Quamino who was offered by Mocklershill Stables at the was offered by Mocklershill Stables at the 2016 Land Rover Sale. Goffs Land Rover Sale takes place from 11 – 12 June 2019. Click here for more information.